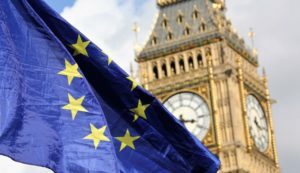 OUTRAGE as Britain set to stay in EU Customs Union until 2023! Senior members of the Civil Service are saying that new infrastructure allowing for relatively flawless trade between the Republic of Ireland and Northern Ireland will take years to install. The Civil Service is officially politically neutral but tends to promote people who are pro EU and strongly anti-Brexit, as evidenced by the votes of top officials elevated to the House of Lords after Brexit to give the nation the benefit of their supposed proficiency. One senior Brexit Supporter said: “There are genuine concerns that this delay will lead to the UK staying in the customs union permanently, regardless of that, if we are still in the customs union by the time of the next general election in 2022 it will cause a catastrophe at the polls because we will not have delivered Brexit and voters will not have seen any benefits of leaving the EU." Remaining in the Customs Union would leave Britain utterly incapable of conducting an independent trade policy even after we leave the EU, with the bloc continuing to negotiate trade agreements on The United Kingdom of Great Britain and Northern Ireland behalf – or indeed not negotiate them at all if that is what they choose. Opinion- Staying in the Customs union would be a disaster for the United Kindom, it would essentially mean we leave the EU in name only, something that is starting to become a frightening possibility with each passing day. Do you agree this is a disgrace? Click here to sign up now! Read: "BANK HOLIDAY BLOODBATH on the streets of Sadiq Khan's London"